Leonora Palu (flute) has graduated from the Estonian Academy of Music and has also studied at the Royal Conservatory of Bruxelles. She has participated in numerous masterclasses and has earned the special prize at the Leipzig free improvisation contest. Leonora is an active musician who performs with different chamber ensambles and orchestras, also as a soloist. 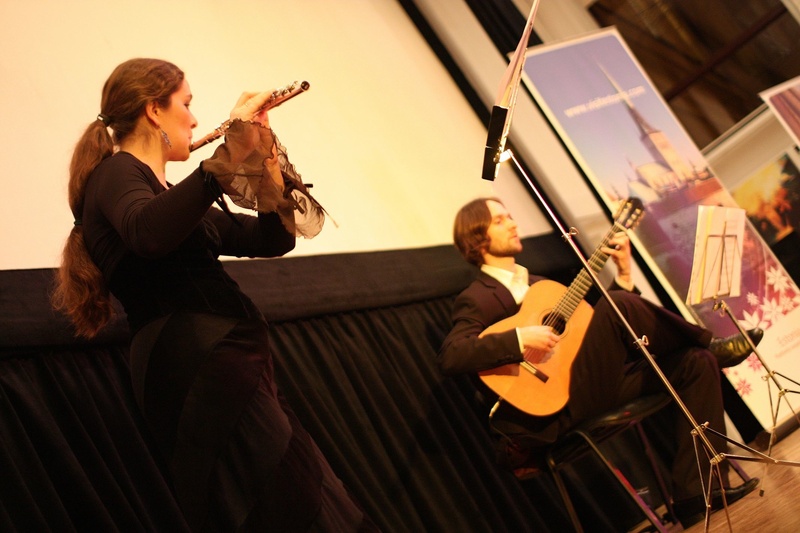 The duo programs contain both Estonian music (Rene Eespere, Peeter Vähi, Kuldar Sink) and works by J.S. and C.Ph.E. Bach, T. Takemitsu, J. Ibert. Also the classical repertoire for flute and guitar (Giuliani, Molino etc).